Whether you use one product or the whole suite, the Orion® Platform will help you make IT management look easy. Organizations of all sizes have complex IT environments that make managing IT challenging. 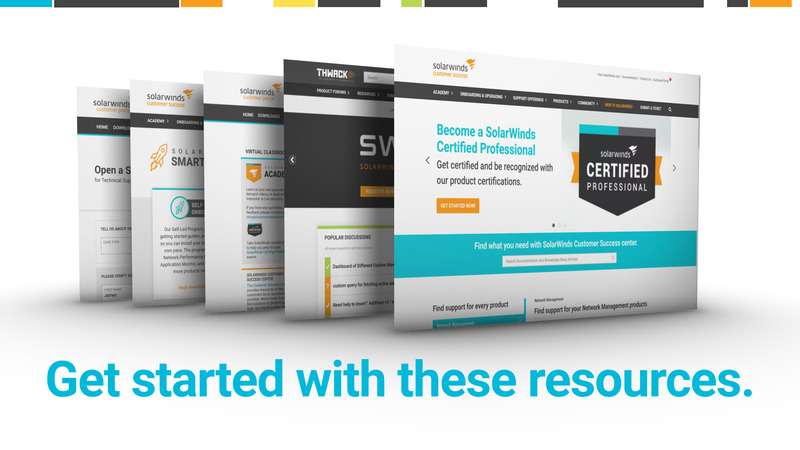 We design our products to be powerful and easy to use, and many are built on a common technology platform, the SolarWinds Orion Platform, that enables you to implement our products individually and grow as you need. They are highly scalable, and our integrated network and systems performance data is combined from multiple parts of the tech stack to provide a single, unified application-centric view and experience. Monitor and correlate data across the entire tech stack to help you more easily meet your service level agreements. This eBook highlights a few approaches to monitoring your IT environment and how they impact troubleshooting. 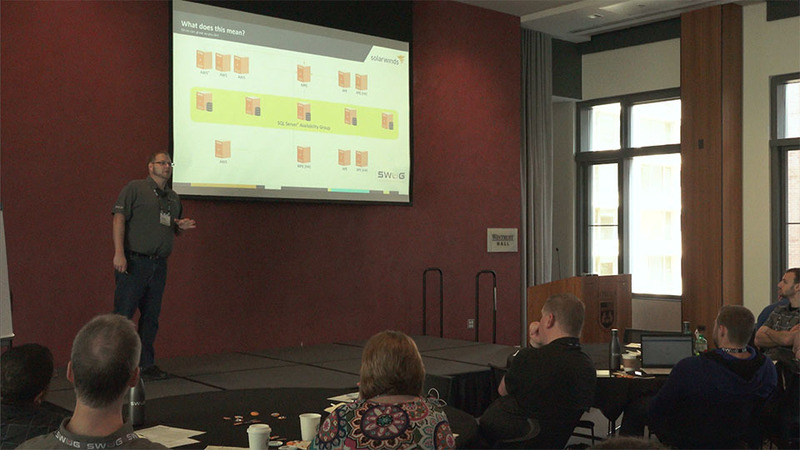 We’ll share how the SolarWinds Orion Platform provides an optimal integrated experience, and how the PerfStack™ dashboard simplifies data correlation for efficient problem-solving. The Orion Platform offers a single architecture that scales to manage the most complex and geographically dispersed IT environments. SolarWinds scalability engines are designed to provide monitoring and management for large enterprise-class infrastructures. 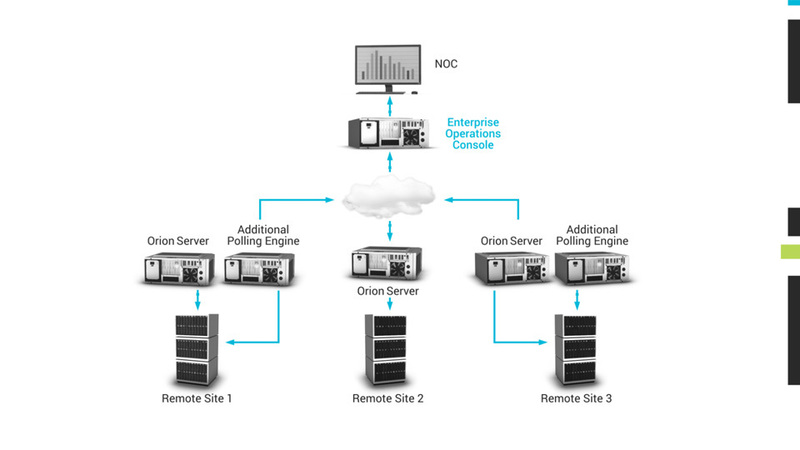 Additional polling engines allow you to scale up to 400,000 elements on a single Orion Platform instance while additional web servers scale the number of supported users. With Enterprise Operations Console (EOC), you can centralize and simplify data management of multiple instances in a single, consolidated view. Scalability That Takes You Where You Need to Grow. One platform from one vendor, with a single pane of glass, delivers central visibility and control through a tightly integrated experience. Monitoring a growing and changing environment can be a challenge. From system optimization recommendations to scalability and high availability options, Kevin M. Sparenberg explains how the SolarWinds Orion Platform can grow and adapt for your ever-changing infrastructure. From our extensive library of instructor-led training (included with active maintenance), short how-to videos, and best practices for advanced features to get the most out of your product, to our more than 150,000-member online community, THWACK®, we have assembled a full battery of award-winning resources, and our Customer Success team is ready to help you get the most from your SolarWinds investment.